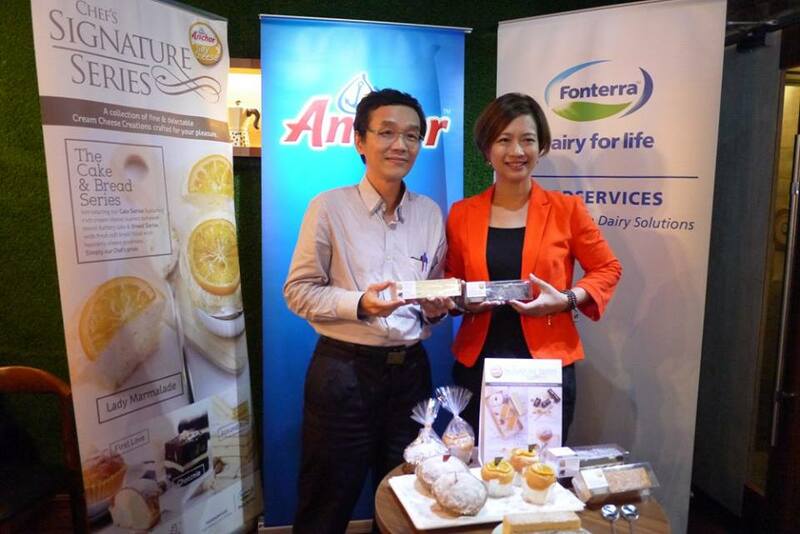 First of all, congratulations to Mamonde for its first counter launch at AEON 1 Utama, chu ka he! I believe a lot of us are still very new to the brand, but in fact, Mamonde is the leading global premium cosmetic brand that offers a wide array of skincare, and makeup products to suit every woman’s daily needs. 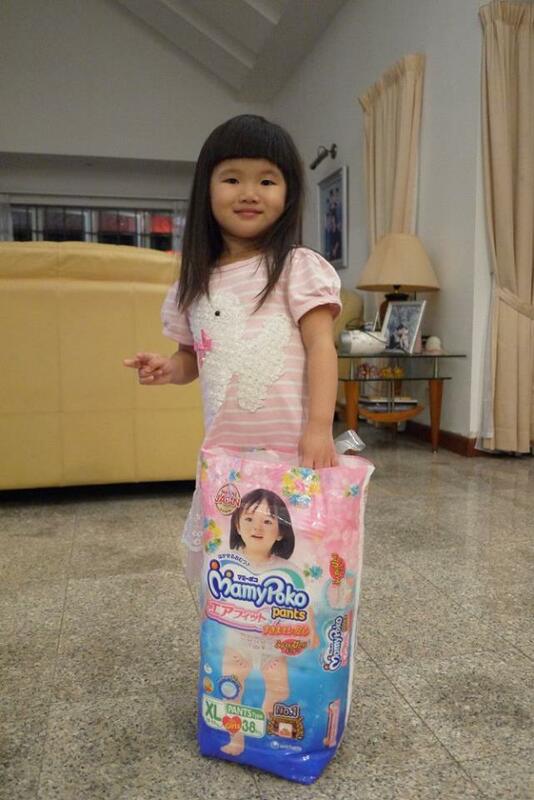 It belongs to the same mother company with our favourite brands like Laneige and Sulwhasoo - AmorePacific. 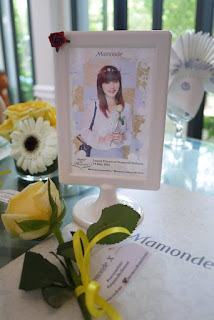 At the launch preview few months ago, members of the media and bloggers were given an immersive brand experience as they enter the ‘World of Mamonde’. The event commenced with an introduction of the brand followed by a walk to the 'Mamonde Garden'. 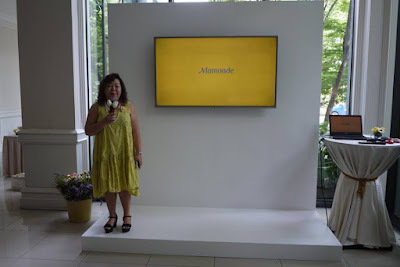 At the garden, guests were given a detailed briefing on the R&D of Mamonde which covers the 5 key flowers used in Mamonde formulation, flower science technologies and its floral properties. The walk continues until they reach Mamonde’s product experience area and finally a 'Flower Beauty Class' that captivates participants with all things floral. 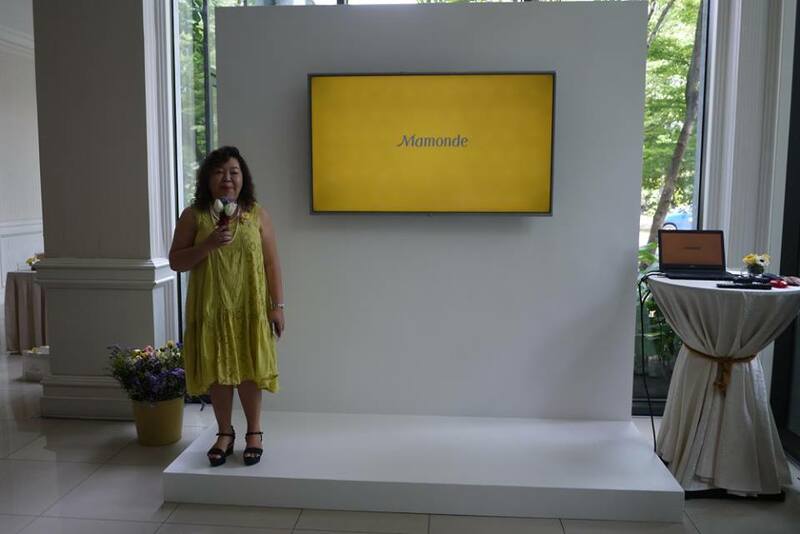 “Mamonde’s skincare is the first of its kind in the cosmetics market as it uses only flowers as its key ingredient in the formulation for all its products,” said Margaret Chin, General Manager of AmorePacific Malaysia. “With the launch of Mamonde, AmorePacific Malaysia will have four brands under its company portfolio which includes Laneige, Sulwhasoo and Innisfree,” added Chin. Among Mamonde’s star products include The First Energy Essence/Serum, Cover Powder Cushion, Age Control Power Eye Cream, Moisture Ceramide Cream, Lotus Micro Cleansing Foam, Rose Water Toner and Floral Hydro Cream. Annyeonghaseyo! To all the K-beauty fans, I have an excited news for you. 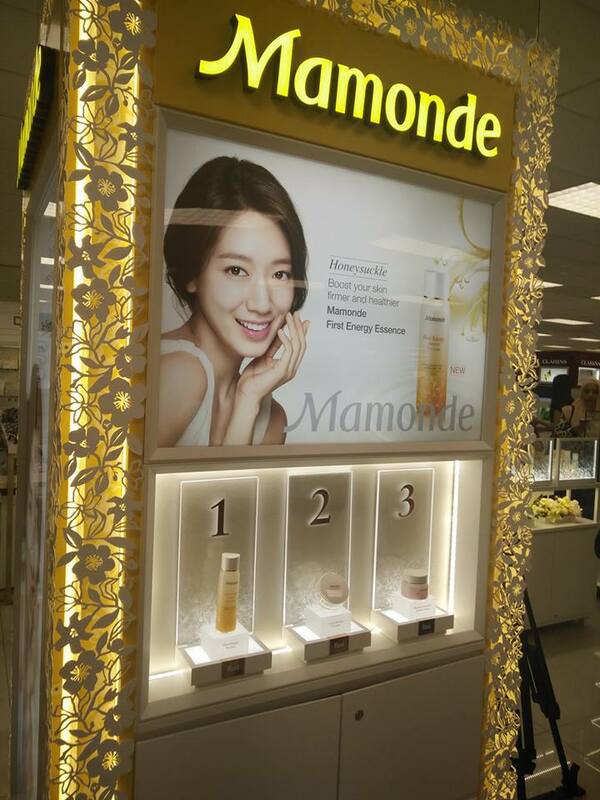 The renowned Korean beauty brand, Mamonde has finally opened its first counter in Malaysia at Cosmetic Floor, AEON 1 Utama! Mamonde is a brand that inspires feminine beauty with flowers. It brings women’s beauty into a bloom by instilling the wisdom of nature found in the flowers’ vitality into their products. 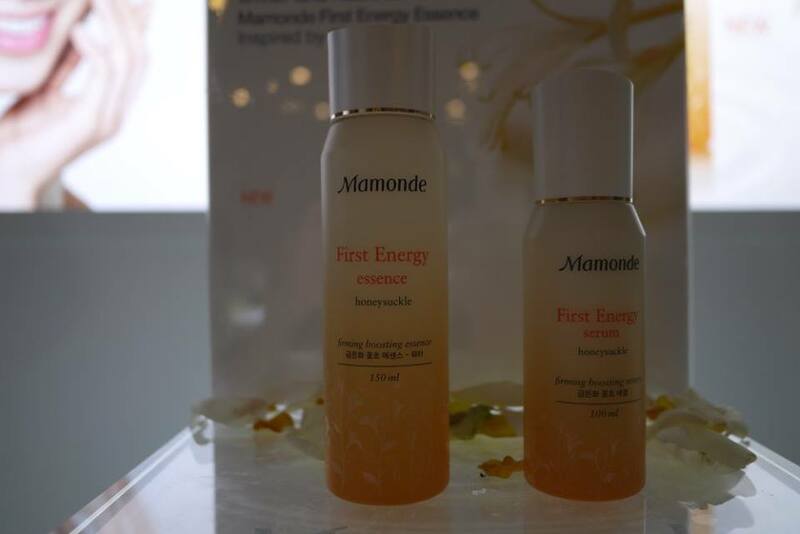 Inspired by flowers, Mamonde devotes to deliver the zenith of flower energy to bloom the beauty inside you. Mamonde aspires to provide skincare solutions for every woman so that they may radiate in blossoming beauty. Measuring approximately 315 sq ft, Mamonde’s counter carries 140 products from 32 product categories which ranges from skincare, makeup, handcare to makeup for hair. 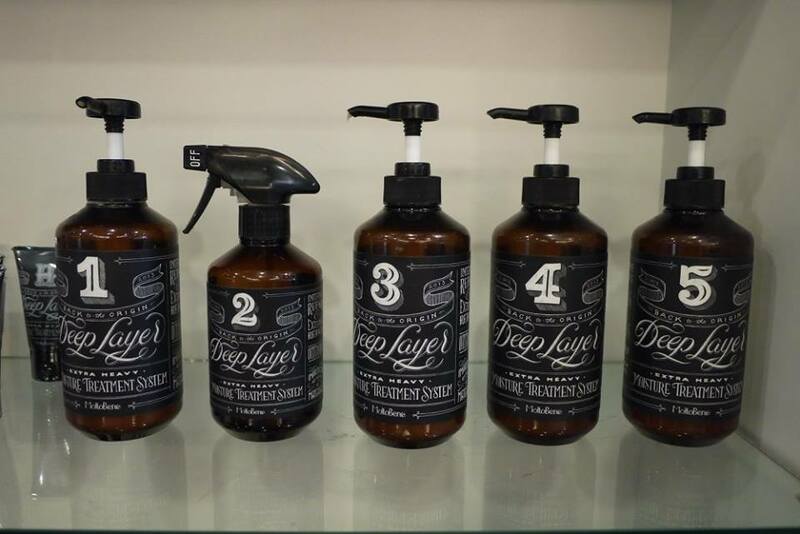 Apart from sales of products, the counter also offers complimentary Flower Touch hand massage with seven different types of hand creams to choose from as well as complimentary skin consultation. This is such a heartwarming experience, trust me you wouldn’t want to miss it! Mamonde which advocates the therapeutic properties of flowers ensures that all its customers get to experience and learn about Mamonde’s flower science at its Flower Experience Corner. This area also doubles up as a floral aromatherapy area where customers get to literally ‘stop and smell the flowers’ to relax the mind with its calming and soothing scents. 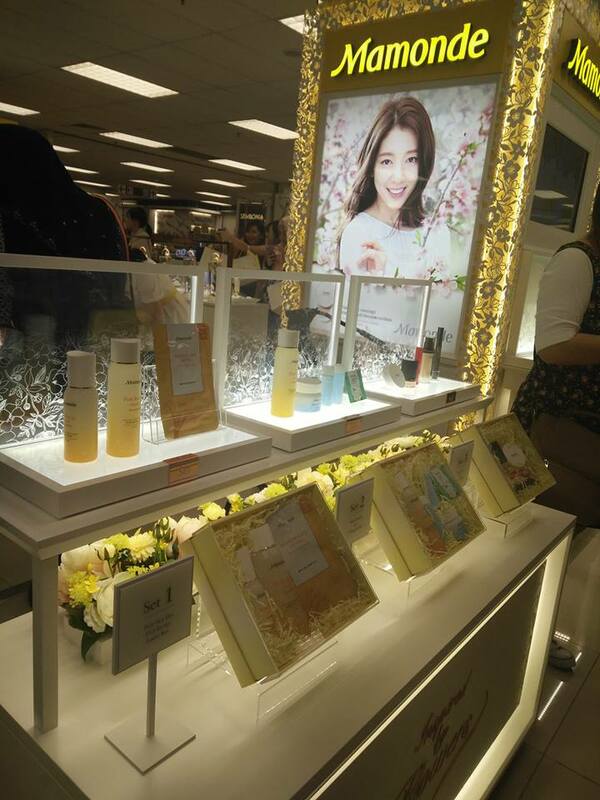 According to Celine Diong, Brand General Manager of Mamonde Malaysia, this new brand which is inspired by flowers is expected to excite the cosmetic market with its unique concept and affordable pricing. Products are priced from RM6 to RM169 making them accessible to women from all walks of life. A new adventure has arrived for whisky lovers all over the city with Auchentoshan’s ‘The New Malt Order’. 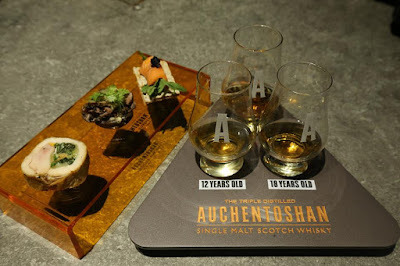 Throwing out the old rule book, Auchentoshan delivers a revolutionary take on how single malt whisky should be discovered, enjoyed and experienced. 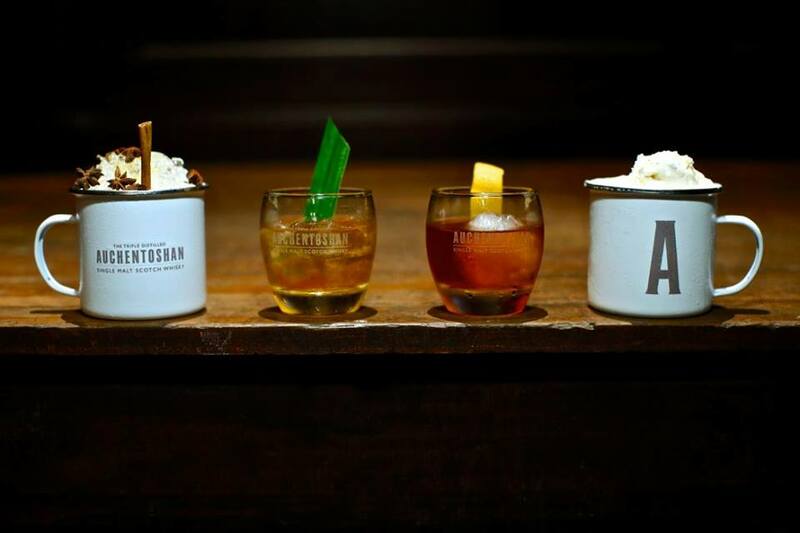 (L-R) Bespoke cocktails made with Auchentoshan whisky - Jammin' with the Marmy, What the Kueh, Slightly Old Fashioned and Ye Old Soda Sour. Made in the city of Glasgow, Auchentoshan is the only Scottish single malt to triple distil every drop. 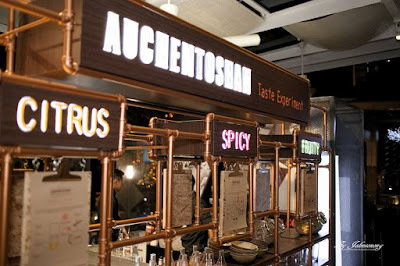 Like its place of origin, famed for its art nouveau architecture, culture and thriving music scene, Auchentoshan embodies the magnetism and eccentricity of the urban jungle. Through its triple distilled craft, Auchentoshan has created a range of refined, smooth and complex flavours that is sure to excite both novices and discerning whisky drinkers alike. 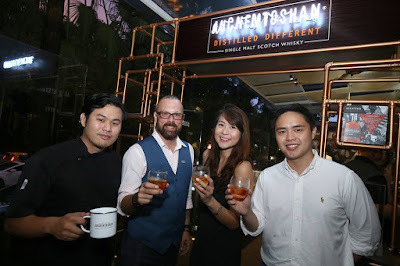 Daring to be different, Auchentoshan presents ‘The New Malt Order’, that has taken over W.I.P Bangsar for two weeks beginning July 21, 2016. In true Auchentoshan style, The New Malt Order presents a bold pop-up Taste Experiment Bar, allowing patrons an exciting way to customize how they experience the signature flavours of Auchentoshan - smooth and gutsy, approachable yet complex and secure enough to be enjoyed on the rocks or mixed into a cocktail. Guest Chef Christopher Yee has also been enlisted to add to the Auchentoshan taste exploration. The trail-blazing food genius will be presenting his creative spin on pairing novel canapes with Auchentoshan, to bring out the delicate flavours of each expression. Urbanites will also be treated to progressive entertainment that is bound to thrill and delight. What’s more fun to work out and dance to get fit? Even better, Zumba on the Beach! This year, gear on to join the Biggest Zumba Beach Party with Glow In The Night theme Featuring International Zumba Instructors from Colombia and Australia, plus Non-stop Zumba hits spin by top DJ line up including Jakeman & Skeletor, Leng Yein, Chukiess & Whackboi and H3. 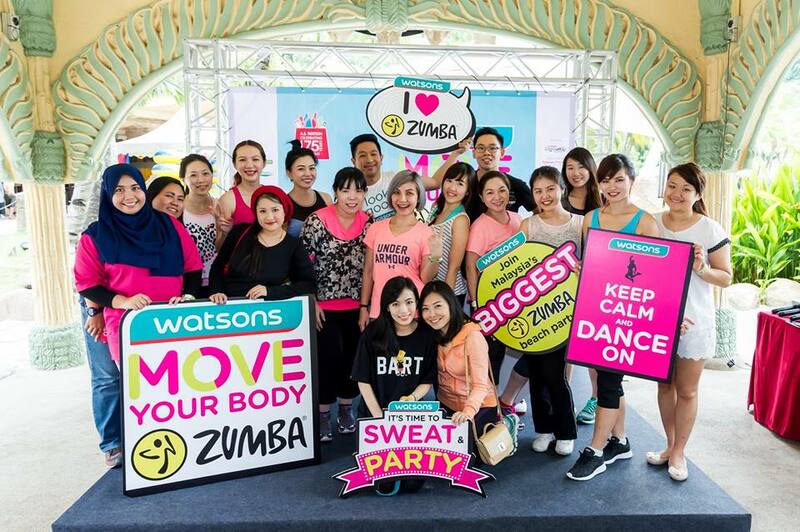 Asia’s leading health and beauty retailer - Watsons is back with its highly successful and record breaking Move Your Body Zumba event. This fitness campaign presented by Watsons Malaysia is expected to be the most talked about health and fitness event of the year. I heard that Watsons Move Your Body Zumba was the biggest Zumba event in Malaysia with more than 7,000 participants held in Penang last year. And this time around, Watsons Move Your Body Zumba will bring a new level of fun and exciting experience with the biggest Zumba beach party together with a glow in the night theme. “Watsons is known to champion innovative campaigns and empower the community around us. 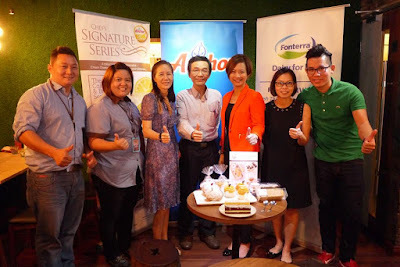 Watsons brand promise to Look Good, Feel Great is a continuous effort calling all Malaysians to be fit and healthy,” Caryn Loh, Chief Operating Officer, Watsons Malaysia. The 2016 edition is slated to be held on 22 October 2016 at Sunway Lagoon Surf Beach and expecting more participants than last year to sweat it all out with Zumba routines in collaboration with international Zumba organization in the United States, Zumba Fitness. “For the third year running, Watsons Move Your Body Zumba will be an iconic event and as such we want to provide our consumers the reward of money can’t buy experience with international renowned Zumba instructors and top DJ line up to entertain,” Danny Hoh, Head of Marketing, Watsons Malaysia. When it comes to skincare, I would always choose those reliable brands and preferable is produced from Japan, Korea or European country. However, most of these brands are expensive and would burn a hole in my pocket. I am glad I have found an affordable one recently! 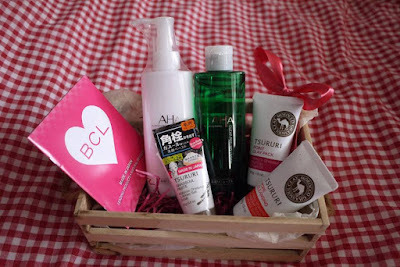 Beauty Creative Lab, or BCL for short, is a Japanese brand responsible for some of the Asian beauty world’s most famous cult classics. I’m sure many ladies have heard or even tried out their famous products like Browlash EX, and Makemania before. Do you know they actually have skincare products as well? Well, let me share my view on their skincare lines with you today. 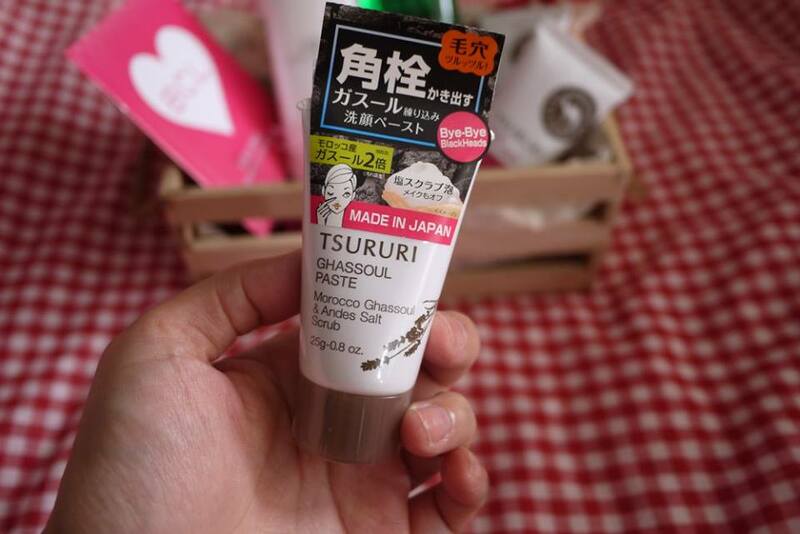 Tsururi Ghassoul Paste removes pore clogger and grease from pores, leaving skin smooth, bright, and beautiful. It contains 6 kinds of natural essential oils to create refreshing herbal floral scent. For makeup removal & cleansing face - Directly apply a proper amount to wet face & massage in a circular motion, then rinse off. For cleansing in the morning - Make a proper amount & add water to create lather. Massage over wet face in a circular motion. Then rinse off. 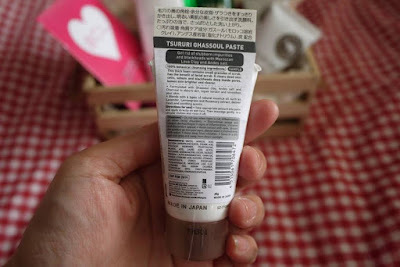 I love its herbal scent a lot, and I also love the small beads in this exfoliating cleanser. It is easily to lather rich after adding water and it helps to eliminate dryness and extract blackheads. My skin feels clean and refreshing after wash. Note I am using the sample size in 25g, the actual product is bigger size in 120g. 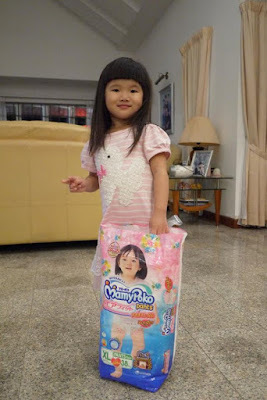 Have you seen the new Mamypoko Pants TVC on TV recently? 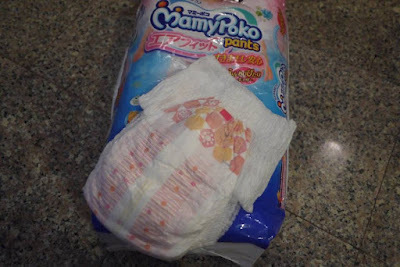 My babies are loyalty users of Mamypoko pants and I was thrilled to find out the new Mamypoko Pants are Made in Japan! I can’t wait to try the new Mamypoko Pants hence I have ordered it for my girl. 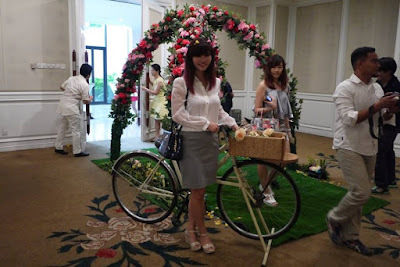 I choose the biggest size - XL size which is recommended for girls between 12 to 17 kilos, and it fits my girl perfectly. I simply like the cute Winnie The Pooh designs plus it is so light weight and comfortable. My girl wore it overnight and it could absorb well without any leaking. Now, good news to all my parenting readers, Lazada is having the Lazada Big Baby Fair from 27 Jul to 31 July 2016. Don't miss all the great deals that is going on at Lazada Big Baby Fair. My hair is seriously dry, frizzy and damaged after bleaching and dye frequently. Hence I am always in need of a good hair treatment to keep my locks looking OK. 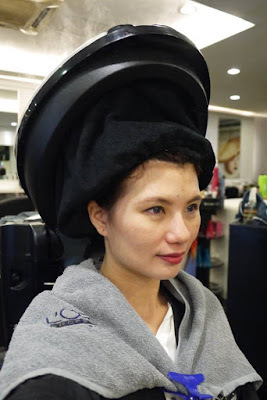 I have tried quite a lot of different hair treatments over the years, and today I’m gonna share another new treatment that I encountered few months back. 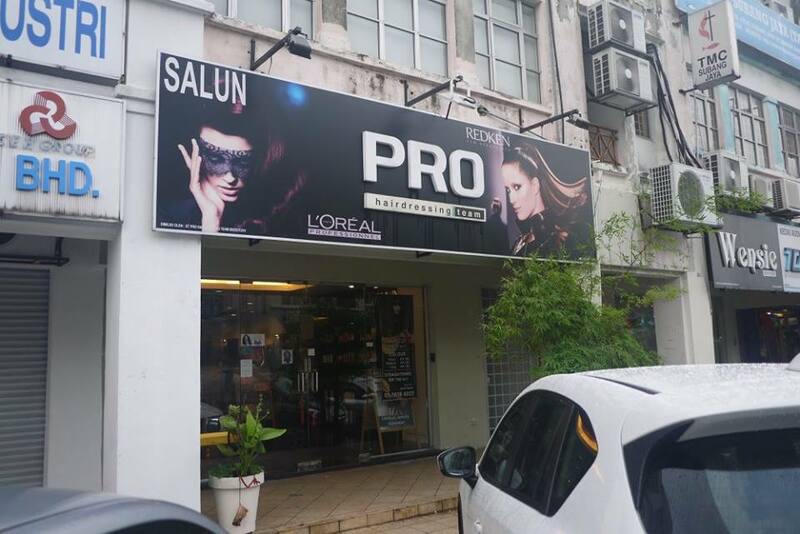 I was invited to the Pro Hairdressing located at USJ, Taipan Subang Jaya for the hair treatment. 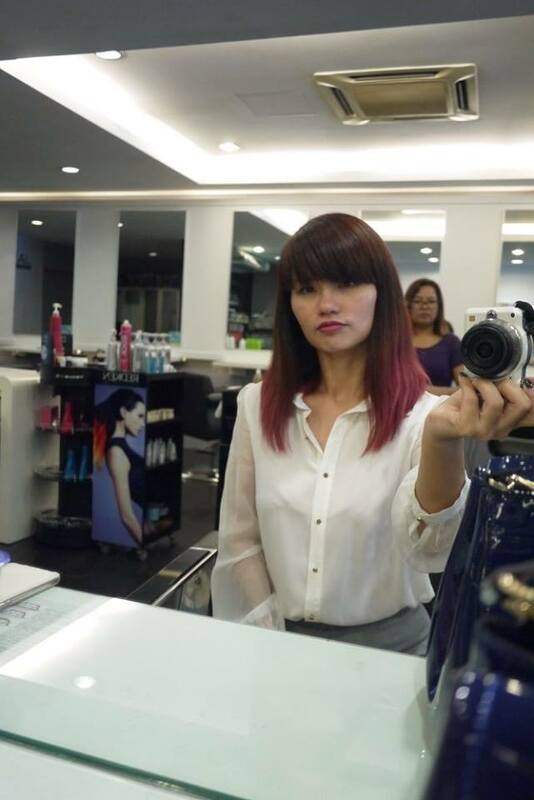 I arrived Taipan at around 2pm and I was lucky enough to find a car park slot not far away from the salon. The salon is easy to locate, which is same row with Maybank Taipan, and just opposite of Starbucks and Coffee Bean. If you do not manage to find a car park along the street, you could try the multi-level car park at the business district too. I was offered a seat once I arrived at the Pro Hairdressing. The stylist analyzed my hair and suggested me to try the Deep Layer Moisture Treatment System from Japan. 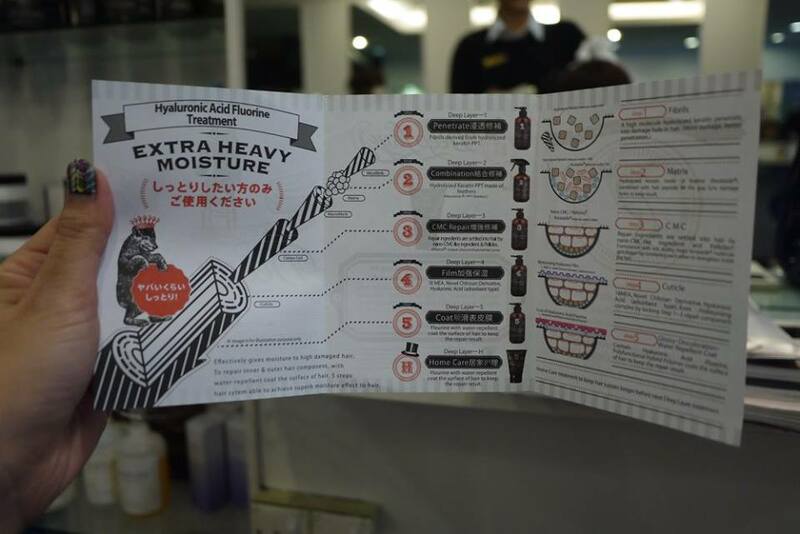 The treatment system is using the products from MoltoBene brand. The 2 main ingredients used in the treatment includes Kerataide and Hyaluronic Acid Fluorine. Kerataide® repair the inner part of damage hole hair by carefully penetrate into it, while Hyaluronic Acid Fluorine with water-repellent coat & moisturizing the surface of the hair instead of silicon. MoltoBene use this ingredient instead of Silicon which gives artificial on your hair, whereas Fluorine (ingredients that contain in our tooth paste for protection & glossy purpose) gives us a natural feeling of smooth and soft hair. Step No. 1: Applying fibrils, which is a high molecule hydrolyzed keratin that penetrate into the damage hole in the hair. I was told that if there is more hair damage, the better penetration into it. Then steam the hair for 15 minutes. Step No. 2: Apply Hydrolyzed keration (molecular weight: 400) that is made of feather - Kerataide ® (molecular weight: 750), combined with hair peptide to fill the gap b/w damage holes to keep result. If you have time, the stylist will use the steampod to give better penetration. I believe in YOLO, which means ‘You Only Live Once’ and hence I have always live my life to fullest and embrace it positively. As People always say life is precious, we should certainly treasure every moment and compassionate toward ourselves. However, what happens if you wake up one day and something totally unexpected occurred? 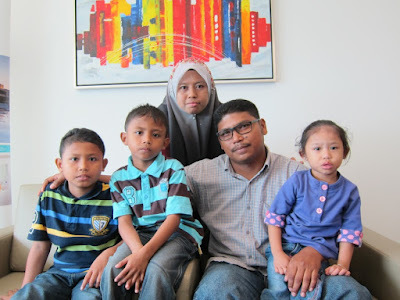 Click to watch the video of Fadzli saying a few words about his condition. As Japanese fans, I’m not new to Kji & Co, which is a beauty brand from Japan. This time, I had tried their Lip Staysss Lip Balm Essence which is of course manufactured in Japan. Kji & Co. Lip Staysss Lip Balm Essence is a semi-permanent lip balm that hydrates moisturize our lips with lip plumping conditioners. 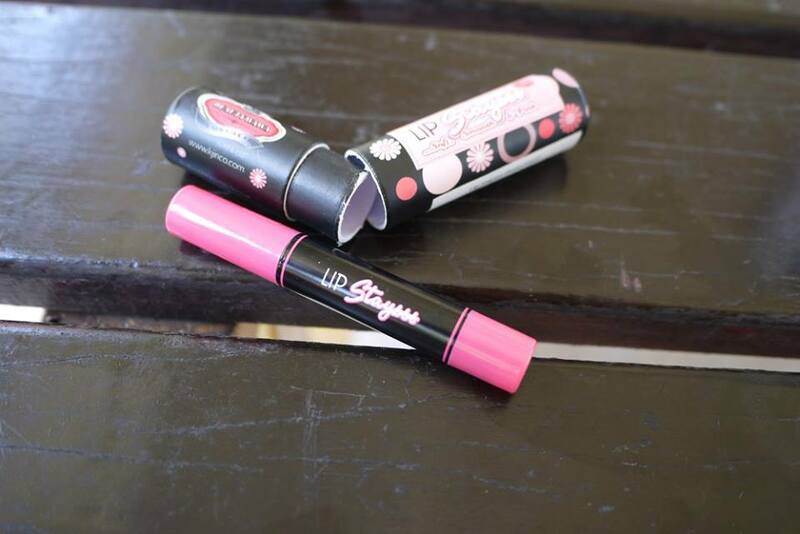 It has a gentle formula and yet provides lush colors. Honestly I was attracted by its pretty packaging at first. Unlike many other lip balm, it is pack in a round hard paper box. Kji & Co's Lip Staysss Lip Balm Essence is available in 3 shades namely Baby Pink, Seductress and Dolly Blush. I have chosen Seductress shade, which is a sweet pink color. 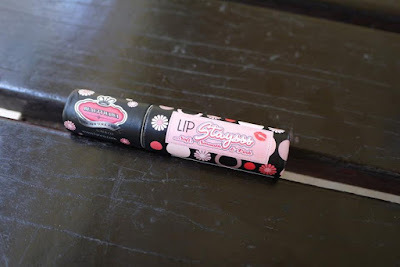 I like its lightweight buttery formula that glides smoothly over lips and the color intensify with each layer. The color can last up to 4 hours on normal weather. However, do mind that it has a very soft and creamy texture. And somehow mine was melted under our current hot weather and hence do store in a cool place I would advise. Plus, the lip balm holder is not retractable; hence do twist out just a bit that’s enough for application as you don’t want to mess up the extra in the small cap. Everyone in town is talking about Ghostbuster! As a trend setter, how could I miss this right? 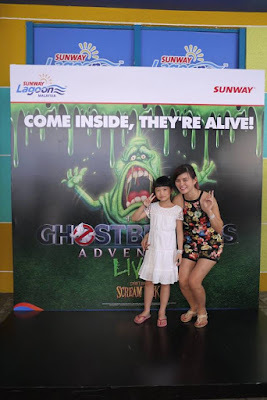 So, last Saturday I had visited Sunway Lagoon to experience the scary Ghosts and Ghouls and share with you my experience. The Harris Scream Park unveiled the first Ghostbusters attraction of its kind in the world, The Ghostbusters Adventure Live! Ghostbusters inclusion into the park marks the biggest annual investment to date since the launch of Scream Park some seven years ago. Among the highlights of this latest attraction is the interaction between visitors and a cast of live actors who play seasoned ‘Ghostbusters’ and ‘ghosts’. 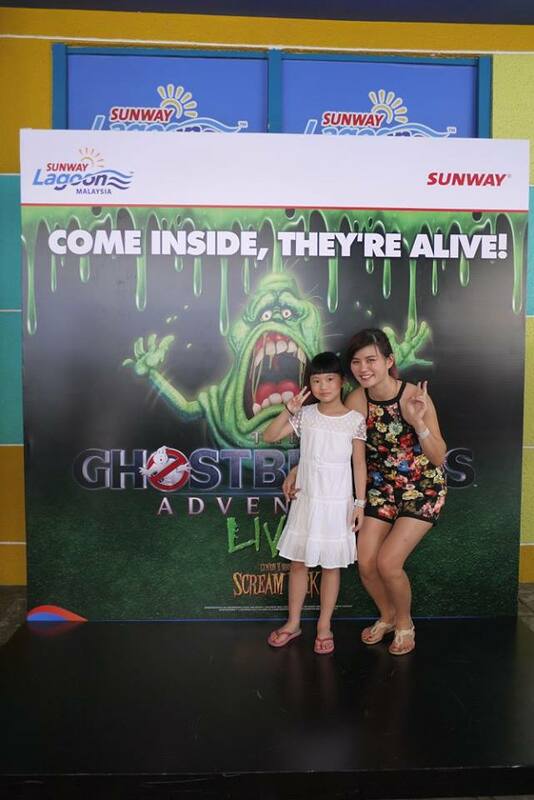 “Sunway Lagoon is excited to have such an internationally acclaimed attraction such as Ghostbusters. 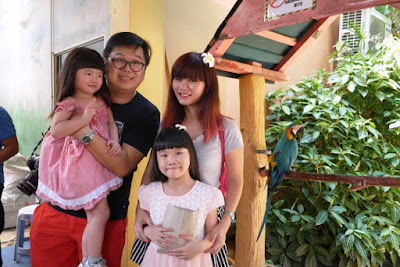 At Sunway Lagoon we are constantly working to provide our guests with the latest and the best. The Ghostbusters Adventure-Live! 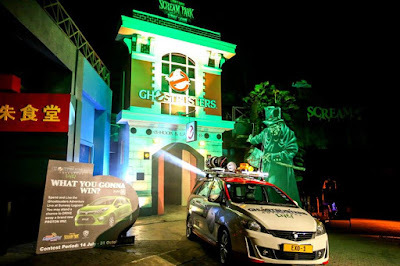 provides park-goers and fans alike with a unique and interactive journey through the Ghostbusters world,” said Calvin Ho, Senior General Manager of Sunway Theme Parks. The attraction occupies the entire top level of Scream Park and takes visitors through a 20-minute harrowing journey through locations based on the relaunch of the movie. The journey kicks-off at the Slimer’s pad, filled with cool Ghostbusters memorabilia, followed by Aldridge Mansion – New York’s oldest private home and museum, where a tour guide will introduce the spooky story of Gertrude Aldridge. A detour takes visitors to New York Subway’s Seward Street Station and alight to visit Old Zhu’s Chinese Restaurant, the new headquarters of the new all-female Ghostbusters. Rowan’s basement is next on the agenda, followed by the infamous Mercado Hotel, set in iconic Times Square in New York, where guests will face a spooky, scary and slimy finale to their journey. 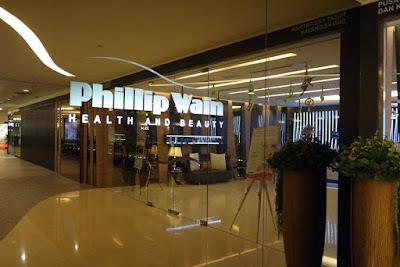 I was thrilled to be back to my favourite ladies only fitness and beauty club - Phillip Wain Malaysia at Starhill Gallery on a Holiday last month. I was honored to be invited to try their FRX D-White Divine Perfector Facial Treatment which is famous for Skin Brightening & Line Perfector functions. 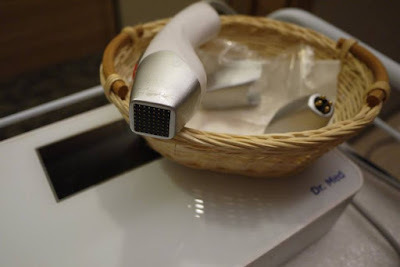 It was my first time trying FRX D-White Divine Perfector Facial Treatment, the treatment is using the combination of Fractional RF machine and I-Firm D-White Divine treatment box. 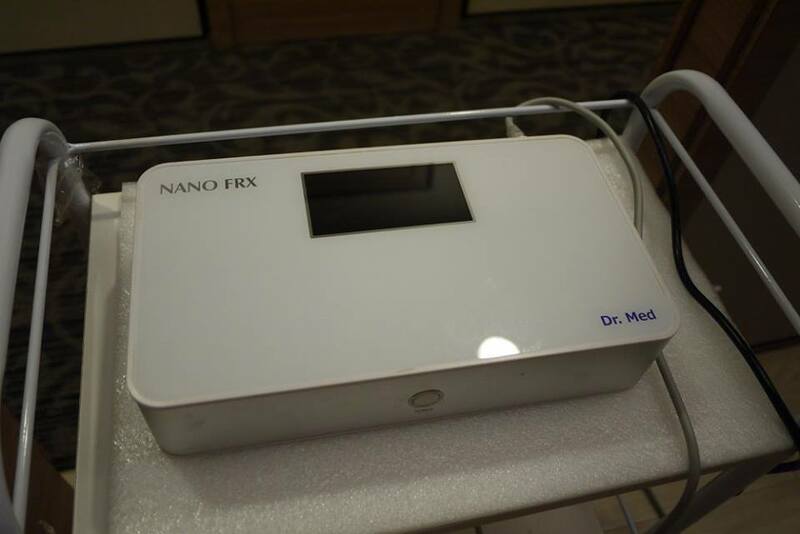 According to the Phillip Wain, FRX RF-Fractional RF Line Perfector is a non-invasive radio frequency therapy that utilizing fractional RF energy penetrates deep below the skin’s surface to heal from within. This procedures rejuvenate the photo damaged and wrinkled skin. It improves skin texture, colour tone and fine lines smoothening in along with reduced pigmentation of epidermis. While I-Firm D-white revolutionary gives antioxidant & whitening results with all natural plants ingredients which high in antioxidant. Instant visible result seen in melanin decomposition and whole complexion brighten. Since I had serious uneven skin tone plus aging skin concern, I was really delighted to try the treatment on my skin. 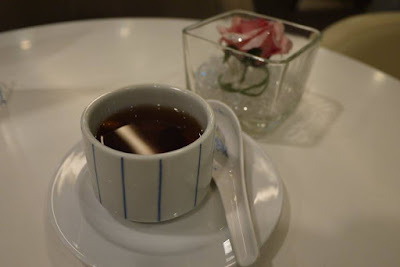 I was offered a warm tong shui while filling up the registration form. Once I’ve registered myself, I was passed a kimono, slippers and towel to change at their spacious changing room. Then, I was led to the comfortable facial room to have my facial. The facial started off with milk cleansing and exfoliating, followed by steaming, hand massage, light extraction and Eyebrow trimming which were common steps in most facial treatments. Now comes the excited part. My cleansed face was ready for the machine treatments. First, the beautician applied first minutes Massage with I Firm D White #1 on my skin. I Firm D White #1 is used for Anti-glycation and Antioxidant purposes. And then she used the Fractional RF on my skin for around 30 minutes. She first used the RF Tip and followed by 36pins/64pins fractional Tip which delivered focused fractional RF energy into the deep dermal layer. Fractional RF is useable on different parts including face, eye, and neck! It firms the skin, increase skin elasticity, reduce fine lines instantly, Minimize pores, significantly improve the skin texture, Even up skin color tone, and lighten pigmentation of epidermis. Last but not least, the beautician followed with a massage with I Firm D White #2 mask then I Firm D White #3. I have enjoyed a relaxing shoulder massage while masking on this second mask. Once the mask was removed, the beautician applied the moisturizing skincare to my skin. Imagination is one of the most important contributors to creativity and innovation. As children, we have endless imagination. It allows us to see beyond reality, encourages us to think creatively and come up with unique ideas and solutions. Without creative thinking, we would not have some of the products and technologies we rely on in our daily lives. Without imagination, we wouldn’t have engineers that build planes, and architects that create buildings. We enter this world as children with genius levels of imagination – but retain less and less as we grow older. By prioritizing academic study over imaginative play, parents in Asia are making their children less creative – and this could have a huge impact on our society. In addition, Asian workers clock some of the longest working hours in the world. A work culture where late nights in the office are commonplace, and academic excellence is prioritized, result in less attention being placed on expanding children’s imagination and creativity. And if not nurtured and encouraged, it disappears during the wonder years. This is something that LEGO is keen to address with the launch of ‘City Adventures’, to ask parents to give their child’s imagination a ‘gift of their attention’ – the simple request direct from their children, to spend more time with them on creative activities that nurture their imaginative skills. To demonstrate the impact of this message, LEGO proved what it would be like for a busy parent to see just how creative their child is, and have an insight into how they are using their imagination. 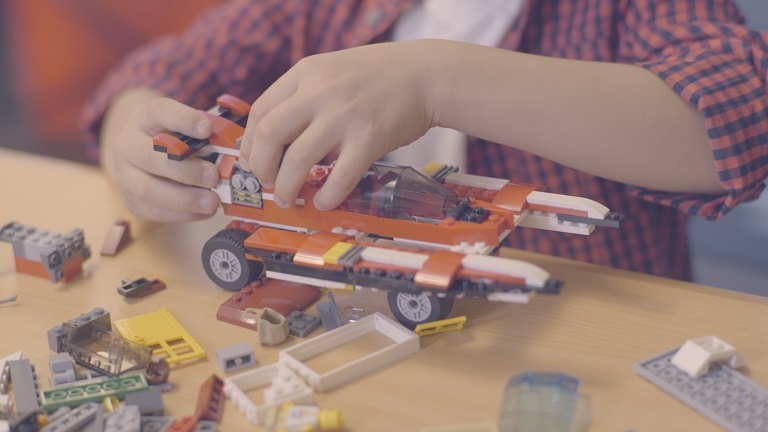 Created in partnership with creative network, iris, the film ‘LEGO Presents: A Gift for Imagination’ hopes to spark a change in mindset around the role of imagination. The 3-minute film was captured in Taipei city, Taiwan - a city with one of the longest average working hours in the world. In cities like Taipei, it’s normal for parents to only see their children on weekends, and perhaps briefly before leaving for work. 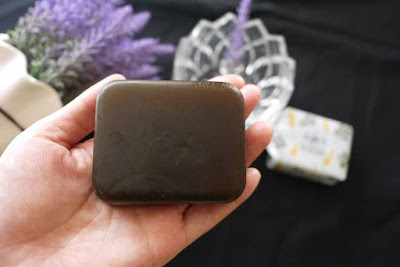 I first encountered handmade soap bars many years back in a beauty workshop. I admire the beautiful thoughts behind every handmade soap makers, as they always make a bar that is gentle and moisturizing to our skin. I’ve tried another Handmade Pure and Natural Glycerin Soap Bar brand, Schorl recently. According to Schorl, their soap bars has No Chemical, No Coloring and No Fragrance added. 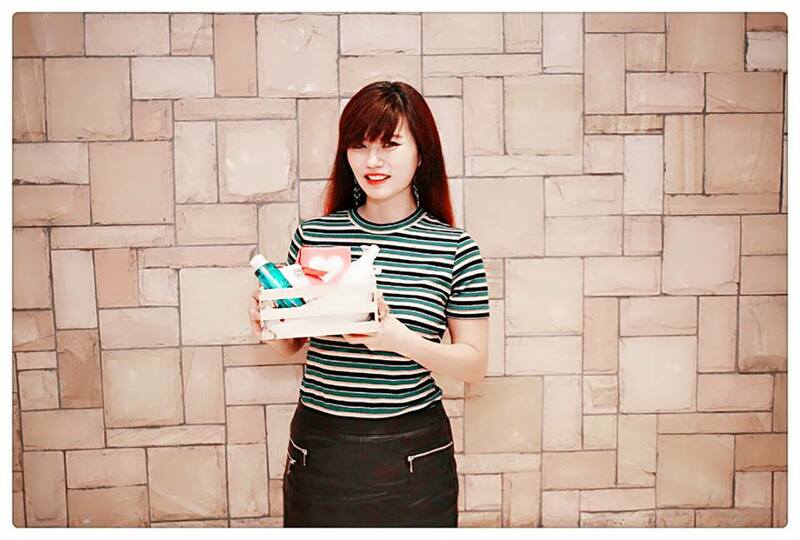 They were processed stringently under low temperature to preserve the natural ingredient essence, I have heard that cold process is true, original form of soap making. They are made from natural Glycerin soap base that is a great moisturizer to our skin. Not only that, instead of selling in pure blocks, their soaps are pack in beautiful flowery paper. I find it more practical and also presentable to give a friend as present. 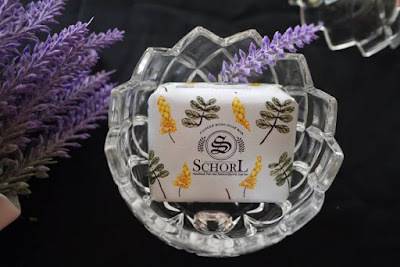 I have tried 2 different soap bars from Schorl. First, their signature Candle Bush Soap Bar. Contains natural Glycerin soap base, candle bush and pandan. If you don’t know yet, candle bush is a medicinal tree and great for treating ringworm and other fungal infections of the skin; while pandan is a great aroma which I love. 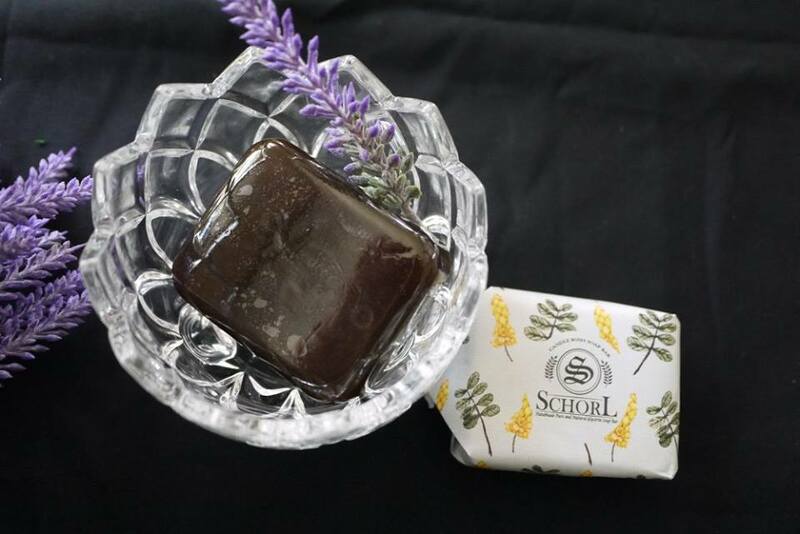 This brown black color soap bar treats eczema and mild skin allergies, plus it also provides antiprurtic (anti-itch) function. Fonterra Foodservices Malaysia has recently launched the second phase of its successful Anchor Say Cheese campaign – an exclusive assortment of Anchor-branded desserts, a first of its kind in the market. 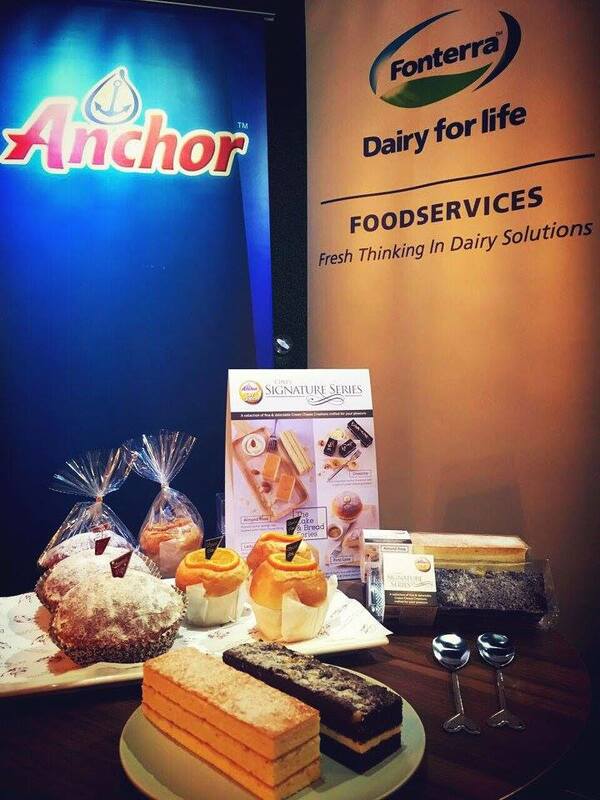 Together with its selected bakery partners, Fonterra Foodservices continues to delight customers with limited-edition desserts created by Fonterra’s own in-house patisserie chefs using top quality real butter, cream cheese, milk and cream from its highly popular Anchor range. Customers can now expect the new range of desserts at selected bakeries across the country, with the first roll out in Klang Valley at all RT Pastry branches. 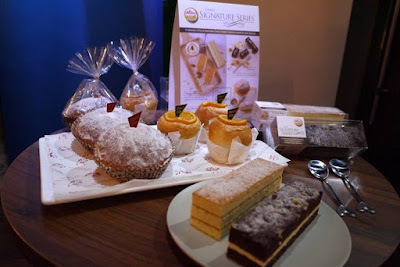 While the last first introduced Japanese-inspired desserts with a heavy use of Anchor Cream Cheese, the new selection of desserts are more European themed and feature delicious sweet breads as well. The desserts include Almond Rosa,a nutty almond butter sponge cake with a rich layer of cream cheese; Cheeznie, a perfect combination of cheese and chocolate with cream cheese sandwiched between two slices of decadent chocolate brownies and topped with chopped walnuts; First Love, a sweet bread with a brown sugar cream cheese in the center sprinkled with brown sugar for that added crunch, guaranteeing love at first bite and Lady Marmalade, a sweet bread with an orange cream cheese filling topped with orange candied peel. Speaking at the launch of Anchor Say Cheese campaign at RT Pastry, Ms. Linda Tan, Head of Fonterra Foodservices, pointed out that the reason behind the campaign was to delight customers with Anchor’s finest range of products.